Distributed by IDCardSupply.com, these horizontal 2-card dispensers are perfect for holding your IDs or badges, plus they come complete with a side loading slot. 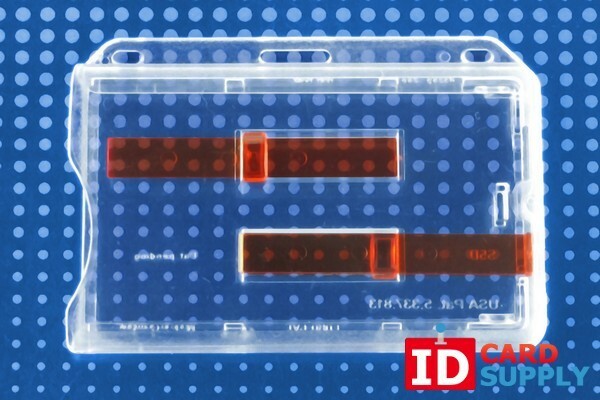 This product features red extractor slides on both sides for swift access to whatever is inside. Grab one of these for yourself or your company at the lowest prices around!